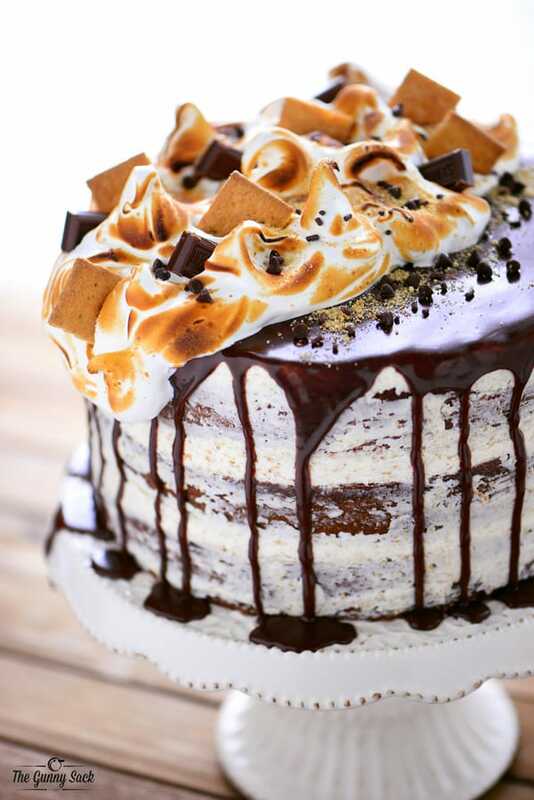 I saw a gorgeous S’mores Cake in my Instagram feed from Angel Food Bakery & Cafe in Minneapolis and couldn’t stop thinking about it. 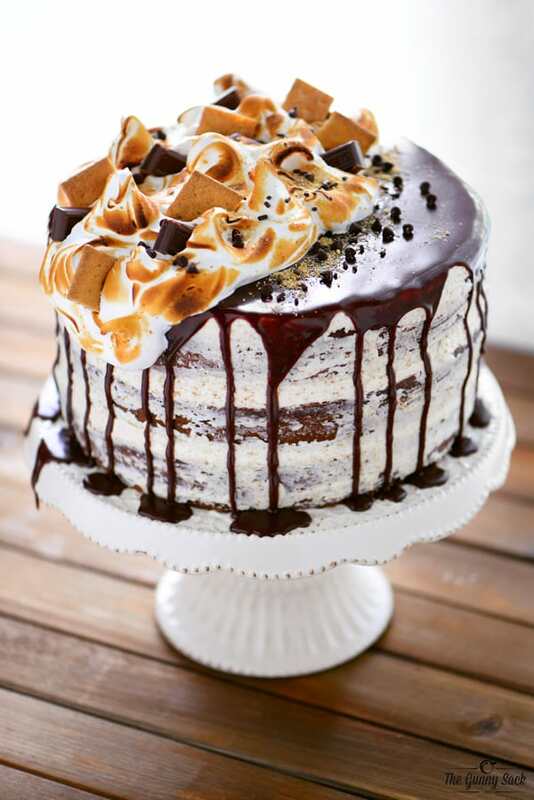 I had to try making my own version of their cake with tender layers of chocolate cake and fluffy graham cracker buttercream with chocolate ganache and toasted meringue on top. Prepare three 9-inch cake pans with shortening and flour. Line the bottom with parchment paper. Put two chocolate cake mixes, vanilla yogurt, chocolate milk, eggs, and oil in the large mixing bowl of a stand mixer. Mix for 30 seconds on low and then beat for 2 minutes on medium. Divide the batter between three prepared 9-inch cake pans (about 3⅓ cups of batter in each pan). Bake the cakes at 325 degrees for 35-40 minutes. Cool the cakes in the pans on a rack for 30 minutes. Remove from the pans and cool completely on the rack. When ready to assemble, use a long, serrated knife to cut the domed tops off the cakes. Spread a little buttercream on the cake stand and add one cake. Top with 2 cups of buttercream. Use an offset spatula to spread out the buttercream. Top with the second and third layers and more buttercream. Bring heavy cream to a boil, add the mini Hershey’s kisses and chocolate chips and allow them to melt for about three minutes. Stir the ganache until smooth and then cool it until thickened but still pourable and spreadable. To make the meringue, bring a small amount of water to a boil in a pot on the stove top. Whisk egg whites and sugar in the metal bowl of a stand mixer. Place the bowl on the pot of boiling water (do not allow the bowl to touch the water) and whisk continuously until the sugar has melted and the mixture reaches 140 degrees. Move the bowl to the stand mixer and beat with the whisk attachment until the meringue has cooled and is thick and glossy and stiff peaks form. Spoon the meringue on half of the cake, making swirls and peaks for texture. Use a kitchen torch to toast the meringue. 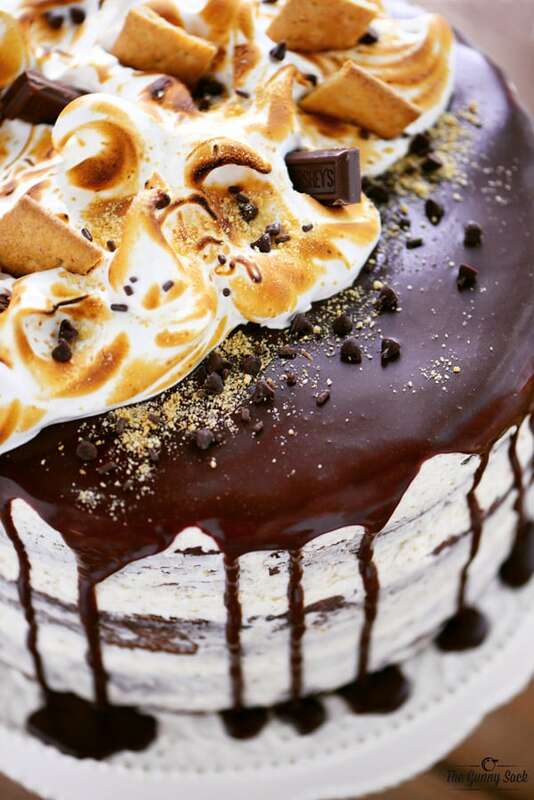 This S’mores Cake really is a showstopper with the chocolate ganache drizzle and toasted meringue on top! I bought this cake to my sister’s house and my niece’s and nephew’s eyes about popped out of their heads. They were so impressed and their favorite part of the cake were what they called the toasted “marshmallows” on top. I had a problem with the buttercream being too dry and gritty. 8 cups of sugar? Looking at other buttercream recipes, I found it’s possible to add heavy cream, a little at a time, to get the right consistancy and easier to spread. It still came out looking and tasting amazing. I was wondering if I could use mini marshmallows instead of the meringue?I’m not a fan of meringue. This cake was beautiful and delicious- time consuming, but do-able with easy and clear directions! Be sure to make it “naked” though, as I had lots of buttercream frosting and didn’t scrape the sides for the naked look, and it was a bit too sweet. Will definitely make again naked style! Hi! 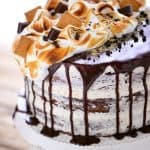 I really love this recipe and I’ve never made a meringue before so Im wondering after cooking he meringue when do I place it on the cooked cake?How did you get the meringue on the top of the cake to have the “burnt” look of the marshmallow? Also, at what point after placing the merengue on the cake do you add the chocolate pieces and graham cracker pieces to it? So excited to try and make this and hope it works out! Hi Genny! There are a lot of steps in this cake. 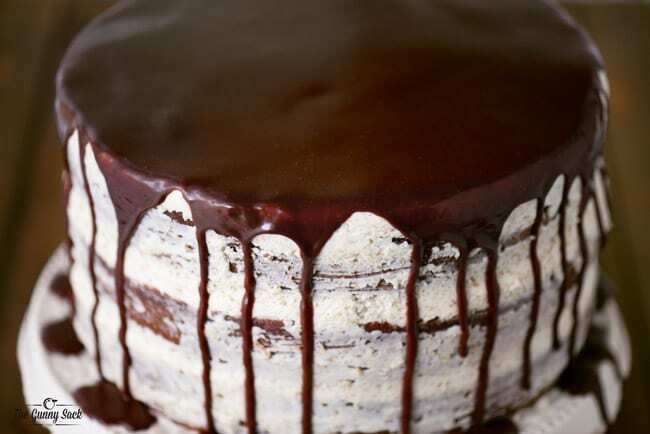 🙂 The steps for putting the meringue on the cake and toasting it are in step 10 (after the ganache is cooled and hardened) and the graham cracker crumbs and chocolate bars are in step 11. 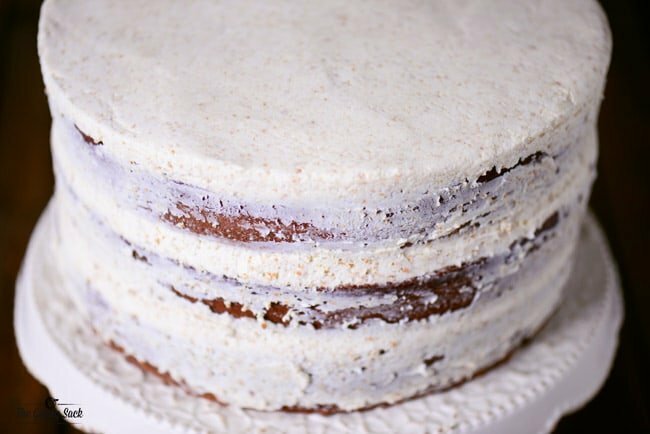 #10: When the meringue is complete, remove the cake from the fridge and spoon the meringue on half of the cake, making swirls and peaks for texture. 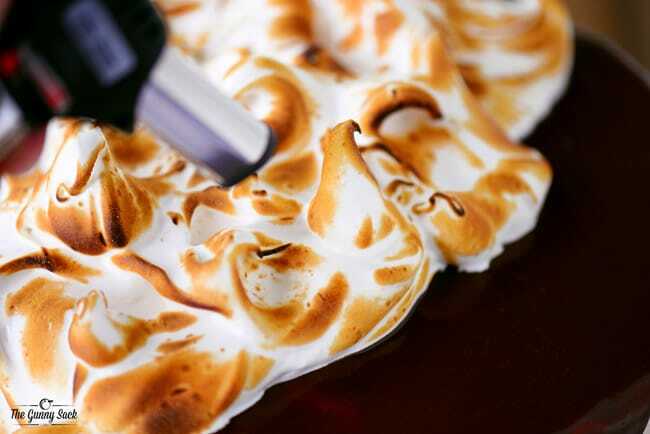 Use a kitchen torch to toast the meringue. #11: Garnish the top of the cake with graham crackers, Hershey’s bars, mini chocolate chips, and chocolate sprinkles. When do you put the graham cracker crumbs into the meringue mixture? Does the meringue make for a marshmallow taste? Thanks! I just made this for my moms bday. Didnt get to taste it yet a little worried bc i think I forgot the salt and vanilla for the meringue . I was reading what to do an totally forgot I prob had to add that other stuff in there. I just made the meringue with egg whites and sugar hope thats ok eek!!! But it didnt turn out bad looking so thats good. 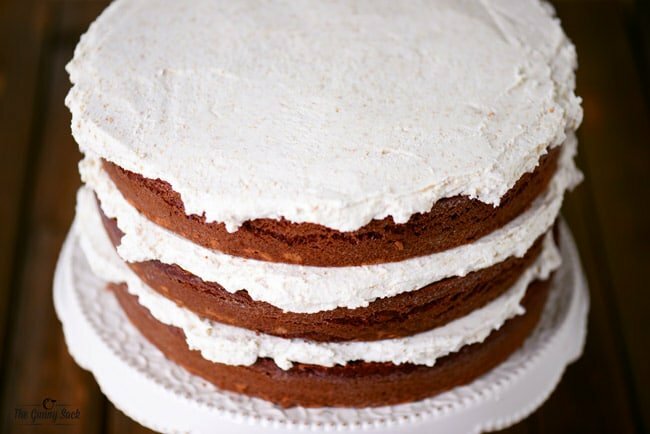 I love that this is a “naked” cake without being naked at the same time. It is GORGEOUS! I love the toasted meringue on top – the golden color really hits the s’mores theme home! 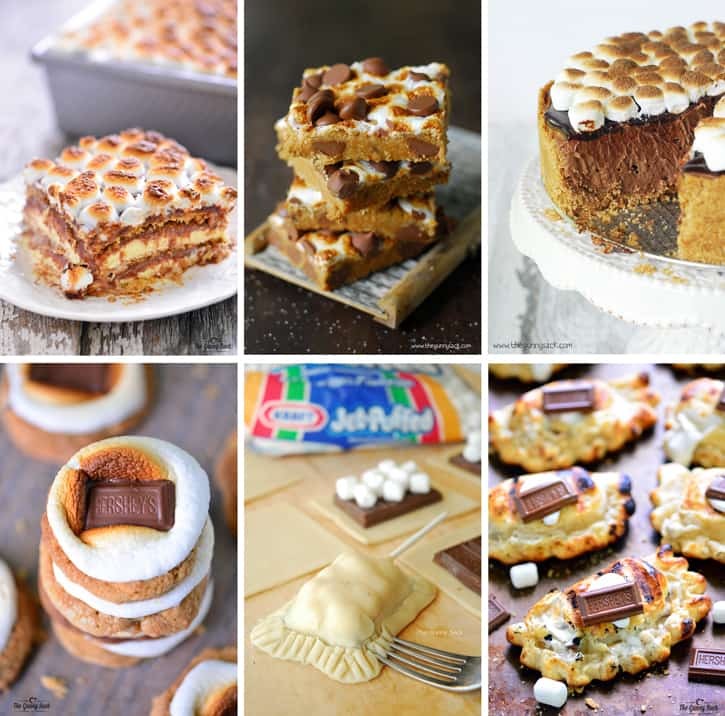 I can’t resist s’mores desserts! This cake is amazing!